So I’ve been a little stagnant in my writing lately. So, today I decided to make myself a “place” to write. I cleared off a library desk in the house and set it up for the perfect little writing hideaway. After all, my novel isn’t going to finish itself and I truly do want to finish it. I’ve been a bit uninspired lately for one reason or another — work is stressful. I’ve been sick. Just been plain busy. But I realize that many authors out there have full-time jobs and they still find the time to write. It’s all in where your priorities lie — or don’t lie depending on how you look at it. I’m excited for my new writing space. At this very moment I’m typing with two candles on each side. Earlier I wrote today’s journal entry by candlelight. And now I’m making my first real blog post in over a week. So, score! Now, let’s hope I am inspired by this time tomorrow to write my printed column…at this point I don’t really have any great idea. But, something will creep in my head I’m sure. The pigeon is sick. So far it’s been a typical cold — with a side of frustration because I want to get out and wander. Ever since I started my journey to fitness and health, I’m one of the hardest people to keep down — and this weekend has been tough. All last week I willed myself to NOT get sick until after the workweek was done. While I started feeling pretty poorly on Friday, Sudafed did the trick, masked the symptoms and allowed me to push through a pretty darn good day. Friday night, as we went back to the paper to finish things up, I was started to feel seriously under the weather. Saturday — in bed all but a couple of hours. Sunday — much of the same. Sunday late afternoon — I’m starting to feel quite a bit better minus a sore throat and ears that feel like they want to explode. I like to wander — as this blog’s title indicates. Here’s hoping I’m back to my full “Wandering Pigeon” self soon! It’s not easy being down, but it does make me incredibly thankful for the days I’m up. 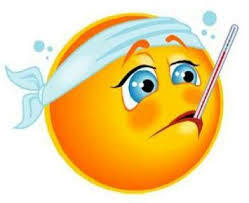 To anyone else who may be sick, get better soon! Today is my mom’s 60th birthday. Happy birthday, mom. In true Wandering Pigeon fashion, my mom and I wandered around Wellington Saturday. My mother, brother and I lived in Wellington for a couple of years before moving to Wichita. I spent my 7th, 8th and part of my 9th grade there — go Wellington Blue Knights! My mom worked at the hospital in Wellington — it was her first medical technician job out of school. Visiting our old stomping grounds Saturday was a lot of fun — and at 60 degrees in January — what a gift! Our first stop in Wellington was our home on C Street. We lived right across from an elementary school. My brother and I recall burying a time capsule at that home. Our hopes is that the current residents will one day let us dig it up — if it still exists. Our next stop was our next house we lived in — a modular home located at the edge of town on A Street. We actually had two modular homes, which were connected by a breezeway. Only the main home remains today — alone and abandoned. 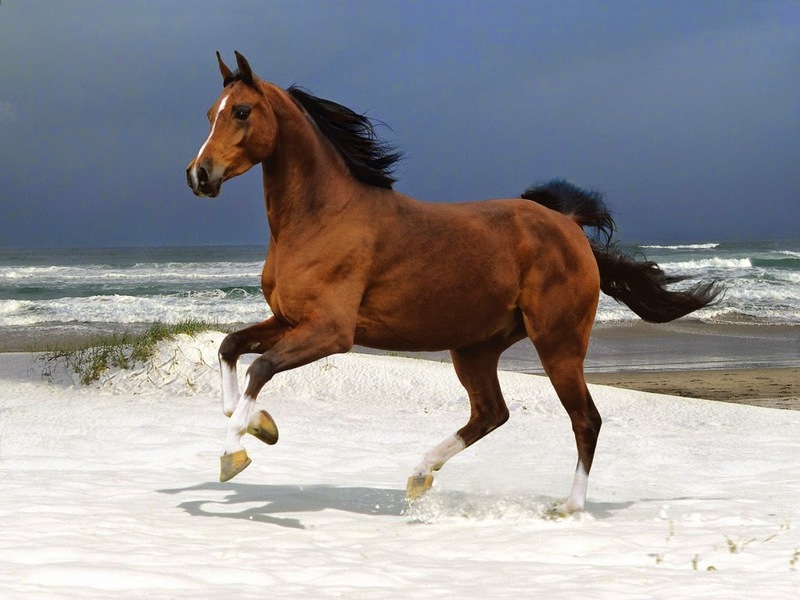 I loved that home because I had the bedroom in the back and right out my window was a horse corral. I could see the horses right outside my window — a young girl’s dream! Today, only the horses’ shed remains, along with the bathtub that served as their watering hole and a lone section of fencing. I’ll admit it made me a bit sad that so little remains. I remembered feeding those horses. While they were not ours, I’d sneak into the shed and grab them a tiny bit of grain as a treat every now and then. My brother and I used to play in the creek that is across the horse field and in some woods — simple, carefree times for us spent at the creek looking for fish. That house also is where I learned to respect red ant hills. Railroad tracks ran in front of the home across the road. One hot summer day I foolishly decided to go over to the tracks and stomp on an ant hill. The angry red ants ran up my legs, which were bare because I was in shorts. Even today I have a healthy respect — and even a bit of fear — for ants. After looking around the outside our former home, we headed back into town and drove by the former Wellington High School, which is no longer being used as the high school. I recalled standing on those steps with my friends waiting for school to start. Our last stop in Wellington, was at what is known as “The Pink Palace.” This adobe-style, (and very pink), home is something I remember fondly from when I lived there. The external architecture is so striking. 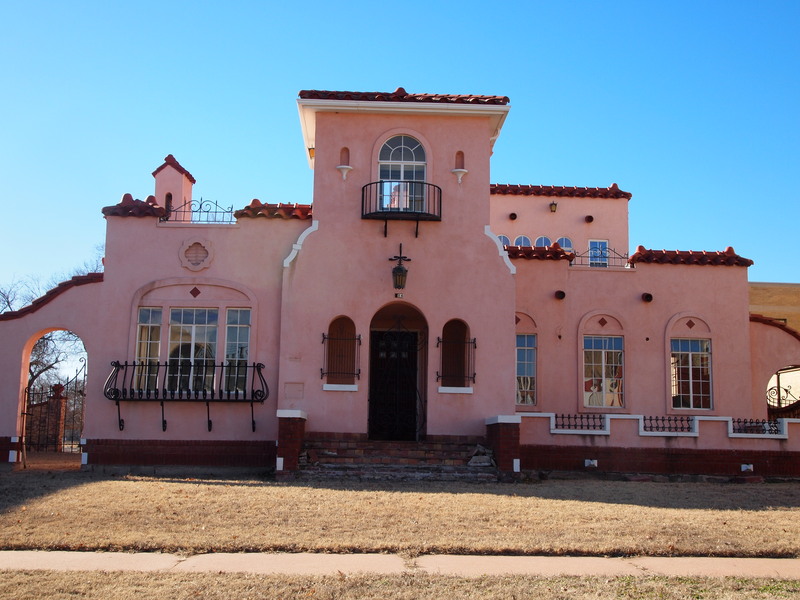 The outside of the home is covered in pink stucco and tiles lead up to the majestic home’s entrances. A quick peek in the window yielded a level of architecture I had never seen in a home before. “Exquisite” doesn’t even begin to cover this home — the sad part is that the home needs signification repair though it appears recent restoration attempts have been made. 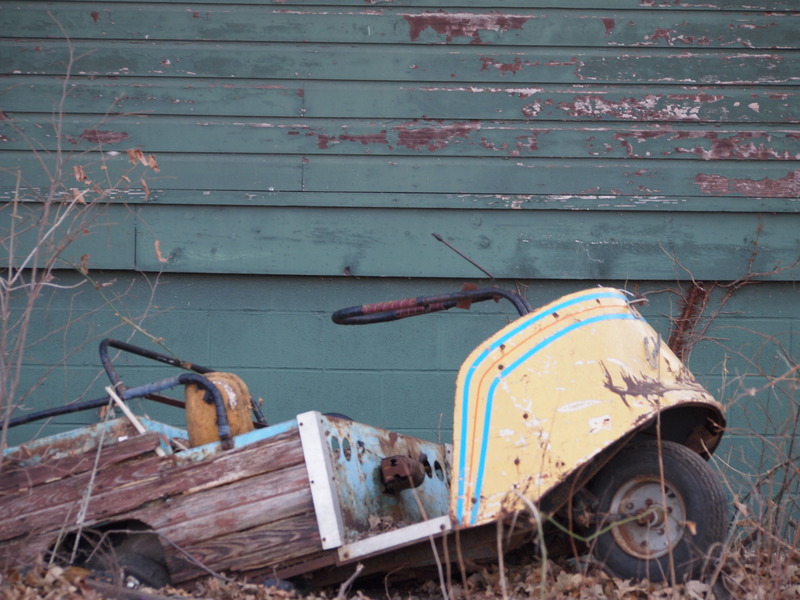 My family and I have always loved to wander around looking at things — not just places we used to live. 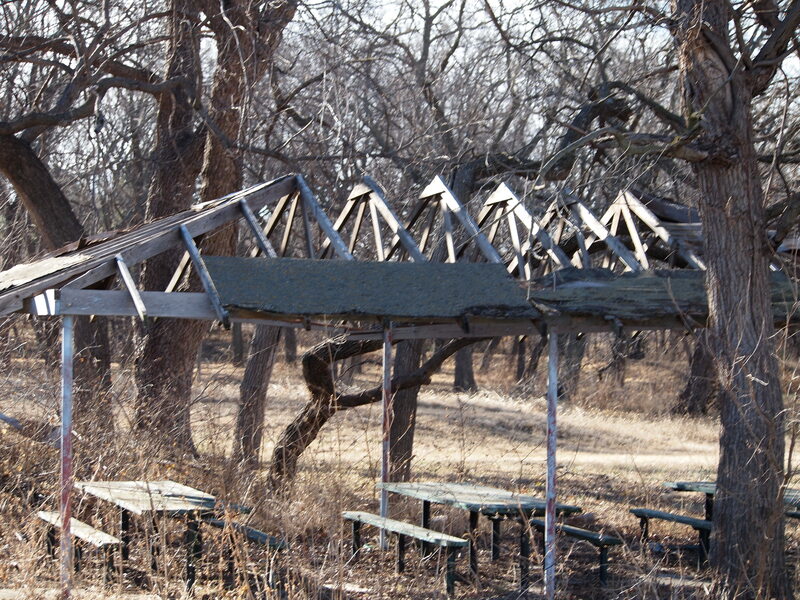 We once drove to Nebraska on a whim, came across a lone, old abandoned house that we peeked into. Inside the house was an old piano. My then-child self asked mom if we could take it home. Her response: we’d have to take home the spiders that lived inside it too. Enough said. We, of course, left the piano. Other family road trips included runs out to California where my mom grew up. We’d throw our bags into the car on a Friday night after mom got home from work and we’d be there by Sunday. We’d visit the coast, Disneyland and mom’s childhood stomping grounds. You learn so much about a parent, relative or friend by going with them to their former haunts — I highly recommend it. One of the best parts about roads trips with someone is time to talk and memories being made. I love sharing experiences on road trips with family and friends taking photos, talking, laughing and just wandering around — most of the time no destination is needed. Growing up we usually just all got into the car and wherever we ended up — there we were. So, another great birthday road trip with my mom on Saturday. More memories made, more laughs shared. Happy birthday mom. I love you. Let’s do another road trip soon! Disclaimer: All photos were obtained legally, without trespassing from a public right of way. 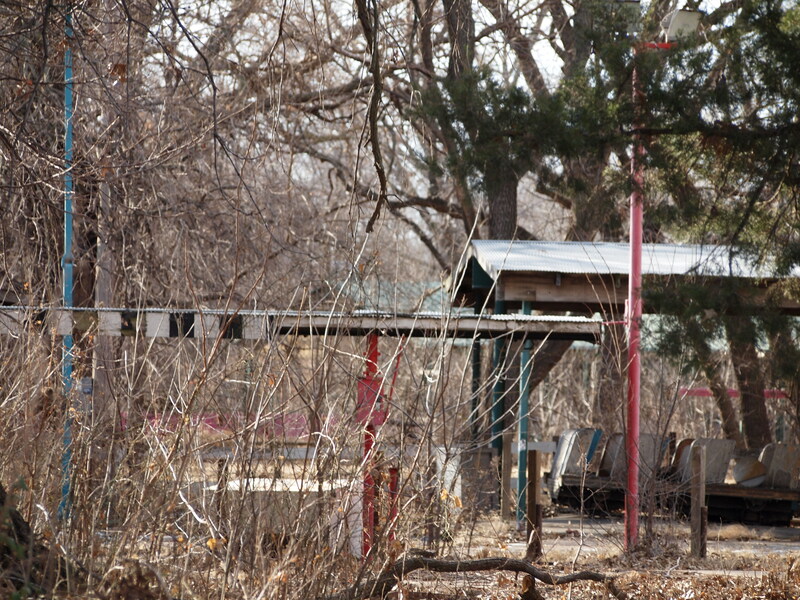 Saturday I visited a childhood haunt in Wichita, Ks. 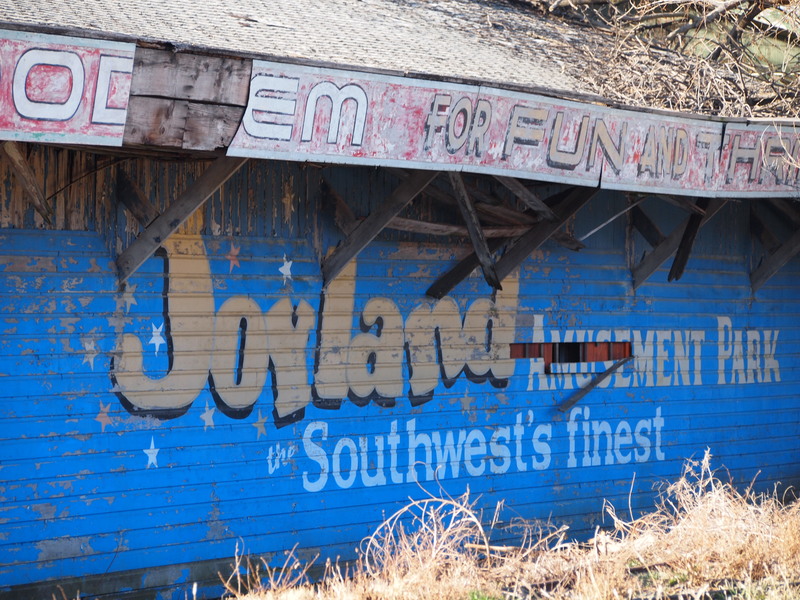 From Wikipedia: Joyland Amusement Park is a former amusement park in Wichita, Kansas, United States. It was in continuous operation for 55 years, from June 12, 1949, to 2004. 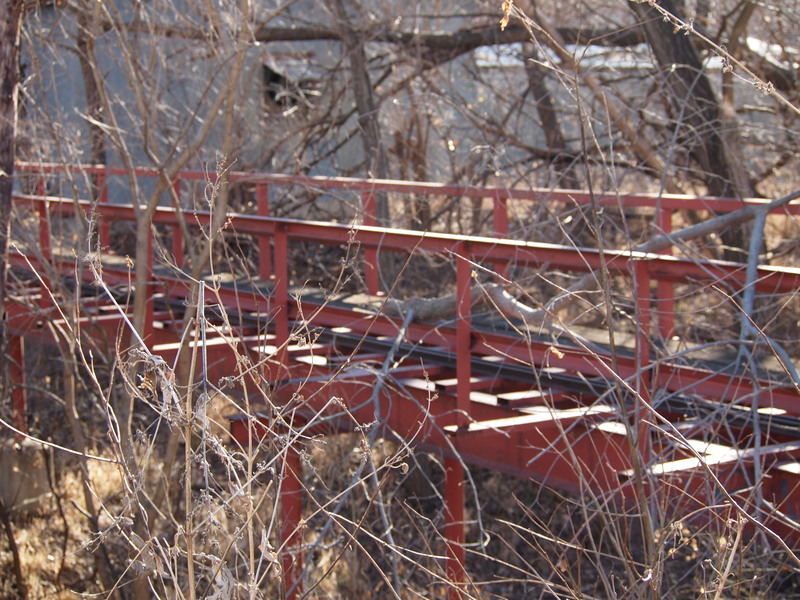 The park was once the largest theme park in centralKansas and featured a wooden roller coaster and 24 other rides. Today, the site is closed. See the entire entry here. 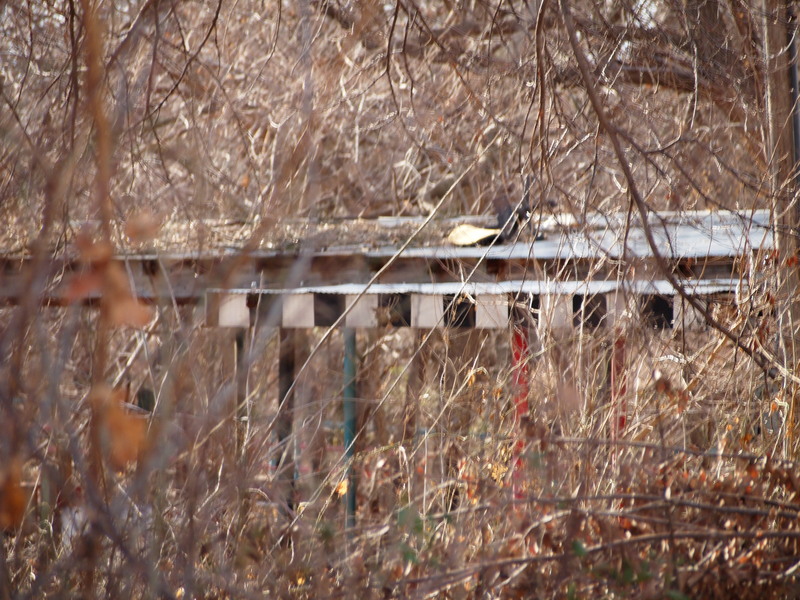 Today, the park is in shambles and in the process of being torn down. Below are a few of my shots. So lately the entire country has been hanging out together in a deep freezer. Really. It’s cold outside! I will admit others are far worse off than us — our lows haven’t been in the -20s but we’ve had wind chills that low. So, I searched Google Images and came up with some ideas to stay warm. Though, many of them, I’m not sure you really should try at home. Disclaimer: Do NOT try most of these at home! I repeat do not. 1. Hiberna te beside a bear. Mind you, you might not survive this one. So, you might think about this one twice before actually trying it. 2. Build a fire in your backyard and camp around it. Ok, so this one is a pretty good idea. But you might want to check with city codes if you live in the city. 3. Stand outside, p ut your head in your mittens and cry. Um, this one is not exactly productive, but at least with your face in your mittens your tears might not freeze. Or maybe they will. I don’t know. I haven’t tested this theory. Let’s just move on. 4. Get one of these. Really, please. And make sure you email me a photo of yourself so I can post all about you. If you’re a co-worker, I’d love it if you came to work wearing these. We’d love to ridicule you on Facebook. Kidding. Or am I? Wear one and you’ll find out! 5. If you’re still desperate to get warm, you could always do what Stuntman Joe did — though I’d leave this to the professionals or you’ll end up in the burn unit, or worse. Wait, wait, just do NOT try this one at all. By the way, this guy stayed lit for almost six minutes! But, again. DO NOT DO THIS! “Austrian Joe Toedtling, 33, managed to walk around the streets of Aalzburg burning for five minutes and 41 seconds before the heat became unbearable. My new alter-ego is “Lady Brandy of Glencoe.” I also own a little piece of Scotland — my own personal estate. Really, I have the paperwork to prove it. As I write this, it’s 5 degrees Celsius or 41 degrees Fahrenheit at my estate in Scotland — balmy compared to Emporia’s current 16-degree temperature. I should probably explain how I became “Lady Brandy of Glencoe” and a landowner in Scotland. For Christmas I received a really unique gift — paperwork from Highland Titles in Scotland. 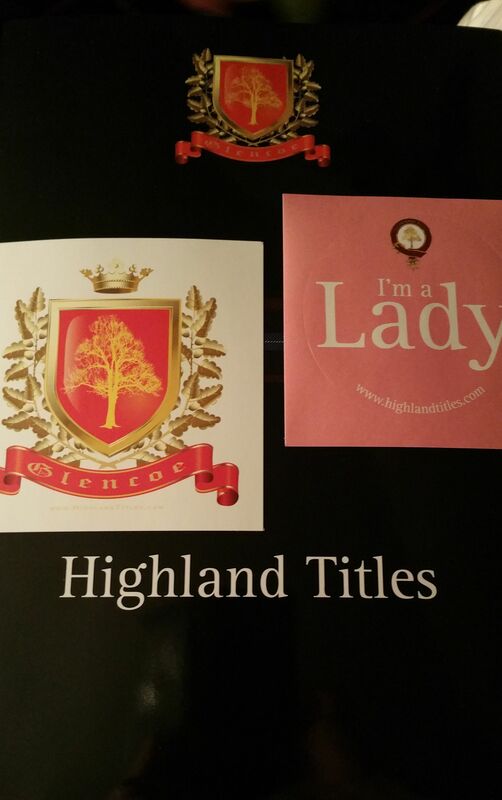 Highland Titles informed me I own a one-square-foot piece of land in Scotland — and it entitles me to take on the title of “Lady.” There’s even official paperwork allowing me to change my name and all accounts associated with me to Lady Brandy. As a nature-lover, this gift is perfect for me. I love to spend time in nature, surrounded by chirping birds, other animals and plants. For me there is nothing quite like standing among towering trees or on top of a hill surrounding by open sky in the Flint Hills. Nature helps me find my center, my balance and helps me connect to something bigger than myself. It gives me a sense of freedom I can’t get when sitting behind a desk or in front of a television. Nature is sacred to me. I’m happiest when I’m outside, looking at the beauty around me — nature can even be found in the middle of a big city in the form of a pigeon or another animal if one takes the time to slow down and notice. So today I’m daydreaming. My personal dashboard on Highland Title app tells me it’s 5,920 km or 3678.52 miles to my estate. Someday I hope to visit it — my little plot of Scotland paradise. The organization does offer guided tours and they’ll even take you to your exact plot on a 4X4 — something that is now on my bucket list. I’m very proud and honored to have been gifted the opportunity to be a part of something bigger — preserving a beautiful piece of Earth in Scotland. 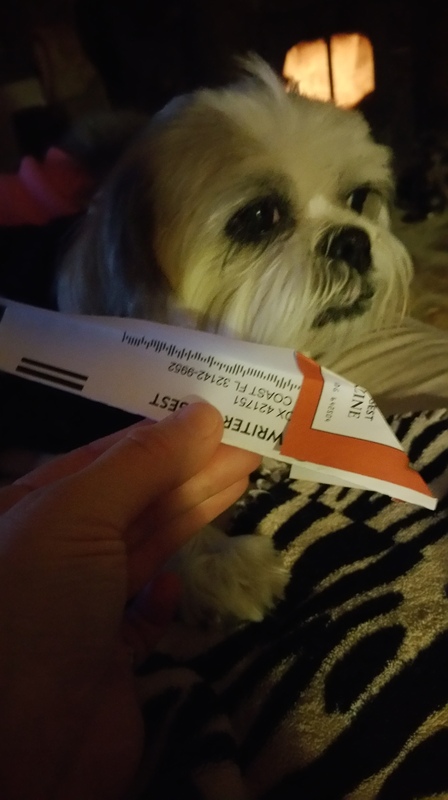 So, tonight, while reading the latest issued of “Writer’s Digest,” I found a new use for those subscription cards they lace in the midd le of almost every page. Turn a page, a card falls out. Turn another page, another card falls out. I decided to make paper airplanes out of them. Because I’m random like that. The first airplane flies nowhere. It had a square nose and fell straight back down — a victim of gravity for sure. I’m sorry to say that one got thrown into the wood stove before I had the idea for this post. The second airplane — well it got a little more air. It’s the one pictured. It flew all of a few inches before looping back around itself — a airplane boomerang! But, again, still massive failure in the paper airplane world. Those subscription cards don’t make good airplanes and it could also have to do with my lack of engineering because I’m certain there is a way to get these things to fly. As I type, my dog, Chewie is happily chewing on my paper airplane failure — at least someone is getting some enjoyment out of it. He doesn’t care if it flew or not — he simply enjoys tearing it up. I probably need to stick to reading the magazine instead of trying to build airplanes with its components. I’m very excited: my blog has a new home. After much talking about it, I finally decided to move my blog from blogspot to here. And I purchased my own domain. My goal for 2015, as summarized in my new year’s blog post is to do less talking and take more action. Thus, my blog’s new home. If you’re new to my blog, welcome! 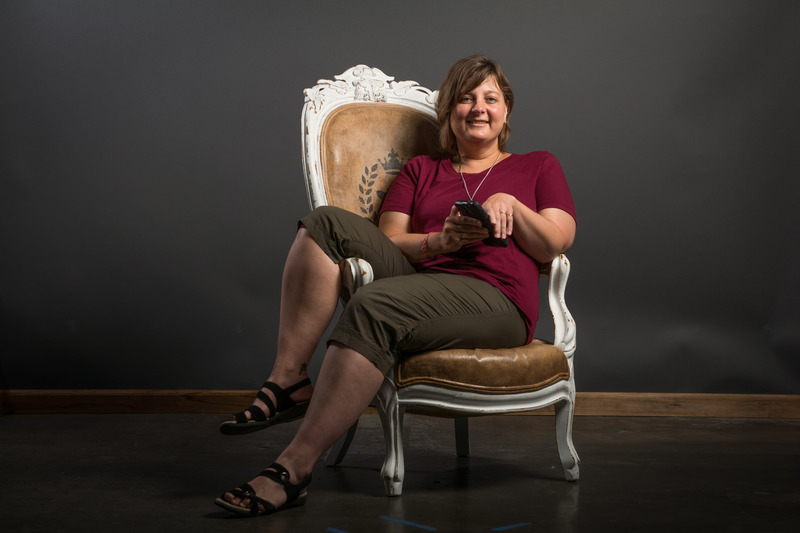 Here’s a little about me: I’m a Kansas resident, I’m the news editor at my local newspaper. If you’re curious about why I named this blog “The Wandering Pigeon” you can find that answer here. If you’re curious about the picture above, yes, that’s me. Thanks in advance for reading! I have many goals for this blog in 2015 and I’m excited to share it! There’s a special kind of silence that falls on winter just before a snowstorm — a calm such as the aura the Earth is emitting this morning. I look outside and the world is asleep. Nothing is falling from the sky — yet. It’s cold — but not too cold. It’s not the bitey kind of cold that we had just a few days ago. The weather is setting itself up for ice as the temperatures warm up just enough. I love the calm before the storm — and the silence that comes with a fresh blanket of sparkling snow, especially in the middle of the night. There’s nothing quite like standing outside after the snow has stopped falling and the sky has cleared. I love looking at the powdery glitter-like substance and it glistens under a full sky of stars. It’s one of winter’s gifts for putting up with her — if you choose to accept it. So, while I’m not looking forward to the ice that is predicted, I am looking forward to a bit of a blanket of snow — and a date with my new Slanket. And yes, I do own a Slanket. Got it for Christmas. Amazing luxury (and the dogs think it’s theirs). 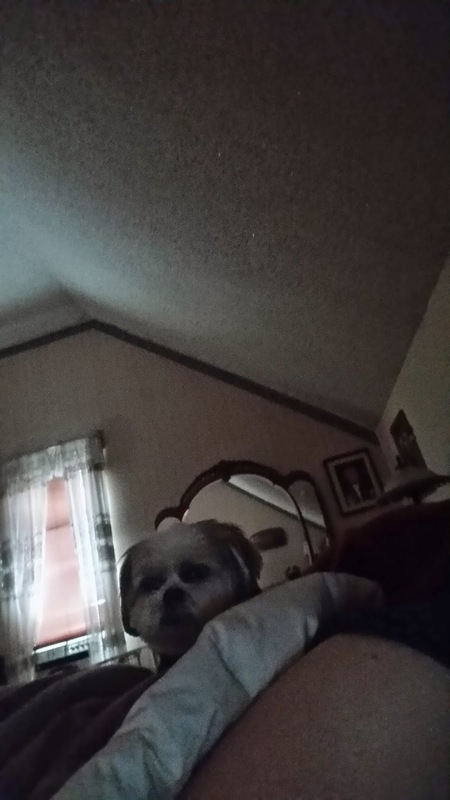 This morning I woke up to one of my dogs, Chewie, squeaking one of his toys repeatedly. The routine on non-work days is we all get up at normal time, the dogs get fed and everyone goes back to bed. Such is what happened today — New Year’s Day. When the squeak toys didn’t work, he brought the toy into bed. Squeaked it and then proceeded to breath down my neck. The pic to the left is the pic I took with the front-facing camera on my phone this morning. His good mood lasted the entire day. Chewie is getting close to 11 so a playful day like this is rare — and honestly I can’t even remember the last time he had a day like this. He loves to shred toilet paper tubes so today he was lucky enough to get an entire paper towel tube! This sent him into a puppy-like tailspin of joy. It was such a rare treat to see him that happy and that energetic. As all my fur-babies age, I’d give a lot to just turn back the clock on them a couple of years. But since I can’t, I relish in every single day I have with them. New Years is such a joyful holiday for me. I guess this year, Chewie caught the New Year’s joy bug. But, for me it’s a bit deeper than that — joy spreads. So does anger, hurt and hate. I’d rather spread joy and kindness in this world.